Insulin sensitivity does not improve in women who lose weight eating a high-protein diet, according to a small new study from the Washington University School of Medicine in St. Louis. Insulin sensitivity (how efficiently the body uses insulin to lower blood sugar levels) is important for reducing the risk of Type 2 diabetes, and is a metabolic marker that typically improves when a person loses weight. 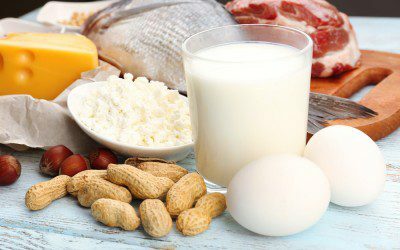 Since protein increases satiety (feelings of fullness) and is commonly believed to prevent against the loss of muscle, high-protein diets are often recommended for weight loss. By the end of the study period, both groups of participants following the weight-loss diets had lost about 10% of their body weight. The women following the weight-loss diet with the recommended amount of protein had also experienced a 25% to 30% improvement in their insulin sensitivity, lowering their risk for Type 2 diabetes and heart disease. However, although they lost on average the same amount of weight, those on the high-protein weight-loss diet did not experience the improvements in insulin sensitivity. The scientists plan to do further research to investigate why insulin sensitivity was not improved in women on the high-protein diet and whether men or women already diagnosed with Type 2 diabetes would experience the same outcome. If you’re 18–30 and have Type 1 diabetes, you may be interested in the 2017 Students With Diabetes/Young Adults With Diabetes National Conference. Bookmark DiabetesSelfManagement.com and tune in tomorrow to learn more.